Emirates has seen a significant increase in demand following the announcement that the airline will operate a second daily non-stop flight between Dublin and Dubai from 1st September 2014, reports Margaret Shannon, Country Manager Ireland. The B777-300ER will add more than 5,000 seats a week in both directions, which equates to approximately 22,000 passengers from Dublin every month. “New convenient flight times for those planning to stay in Dubai, is one of the reasons for the increase in demand,” said Margaret. “While our original flight offers a fantastic selection of onward connections, we are finding the schedule of the new flight is particularly appealing to those planning to spend some time in Dubai, whether for business or leisure purposes. Customers land in the morning in Dubai, meaning they can be fresh for a business meeting or enjoy a whole day in the city, and the late afternoon departure means they can relax and take in their final day at leisure. 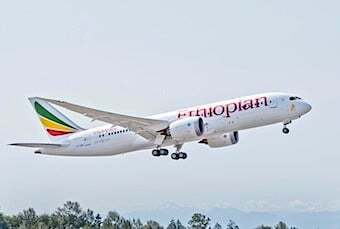 The second service will offer 360 seats in a three-class configuration – eight seats in First Class, 42 in Business Class and 310 in Economy Class. Flight EK164 will depart Dublin at 22.20 and arrive in Dubai at 08.55 the next day. Return flight EK163 will leave Dubai at 16.00 to reach Dublin at 20.50. Fares start at €569 Dublin – Dubai return, including taxes, and are valid until Wednesday 30th April 2014.